Looking for an Ergonomic Stool? In addition to the range of premium ergonomic office chairs, Biomorph is also an accredited dealer for top quality stools produced by leading brands that include Humanscale and HAG. If you're shopping for an ergonomic stool, you're sure to be impressed by the quality, function and style of those available through Biomorph. 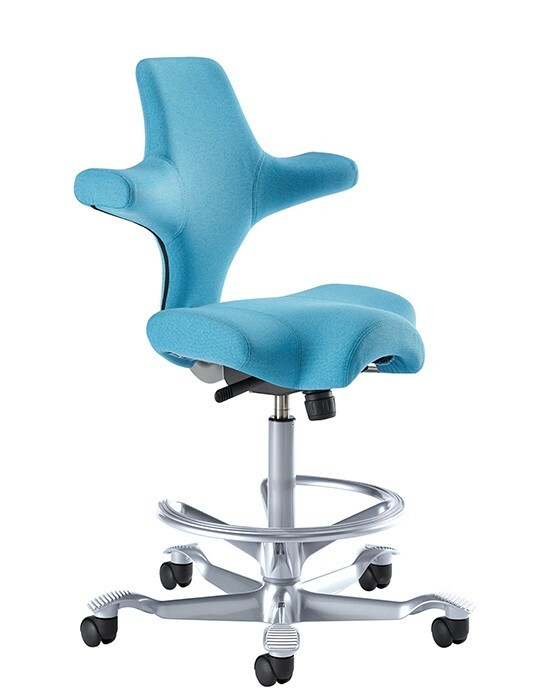 An ergonomic office stool can be useful in a variety of environments and applications, from an office computer station where staff are seated for shorter periods of time to a workspace in your home. No matter where you intend to use one of the ergonomic stools from Humanscale or HAG, the unique saddle designs provide optimal positioning for productive work. Whether you choose the Saddle or Pony Saddle stool from Humanscale, or the Capisco Saddle Stool from HAG, the saddle posture allows for comfortable, healthier seating that's more conducive to active work. Plus, all of the ergonomic stools you see here, at Biomorph, are well-suited for use with your adjustable, sit/stand office desk. Equip your office or home work space with stools specially designed to facilitate the healthiest and most productive shorter-term seating possible. Browse our selection to choose from high quality, stylish stools that will compliment any work environment. For more information on any of the products you see here, please call us: 888-302-DESK.